Australians should brace for a dry, hot summer, according to the Bureau of Meteorology, with no relief for drought-stricken farmers. The bureau’s climate outlook for November to January, released on Friday, says there is an 80% chance temperatures will be higher than average for most of the mainland. Rainfall will also stay below average for most parts of Australia, and be average at best for others. It comes after Australia’s driest September on record, and the declaration in August that NSW was 100% in drought. “Farmers would have preferred to see an above average rainfall forecast, and we wish we could have provided one too,” said Watkins. 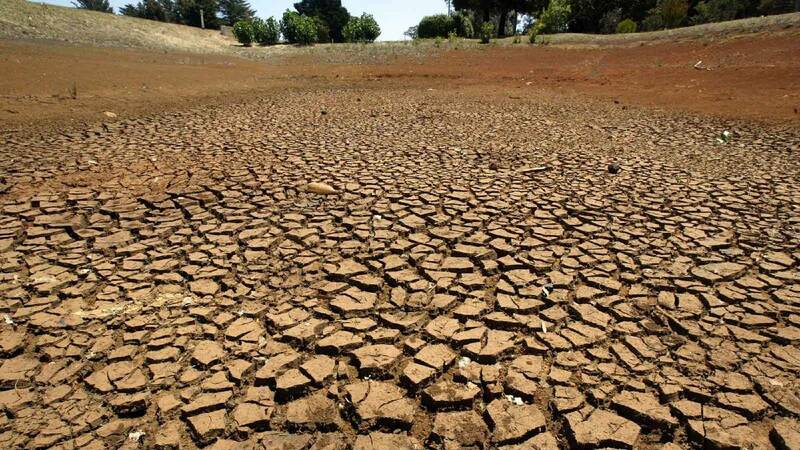 “For some of the most drought-affected areas the odds have shifted back to 50%. That means no strong push towards wetter or dryer. The summer will also bring an increased risk of heatwaves and bushfires, he said, as evidenced by soaring temperatures already sweeping across Queensland. On Friday, Queensland was already sweltering through 40C temperatures, up to 10C above average for October. In Birdsville, in the state’s interior, the temperature hit 44.7C on Thursday, setting a new record for its hottest October day. On Friday, Longreach was forecast to hit 41C on Friday, 43C on Saturday and Sunday, and 41C on Monday. Brisbane is expected to reach 39C on Friday. Watkins said the summer’s hot, dry conditions were due to a developing El Niño event combined with a positive Indian Ocean Dipole. The bureau is currently forecasting a 70% chance of an El Niño forming before the end of the year. El Niño is a climate event characterised by water in the western Pacific Ocean becoming abnormally warm, combined with weak trade winds. It usually results in reduced rainfall in Australia and Indonesia, and increased rainfall and flooding on the west coast of South America. A positive Indian Ocean Dipole is a similar climate event where water warms in the Indian Ocean. The dipole will continue to cause dry conditions into November, but Watkins said its impact would weaken after early December. The El Niño could break down by autumn, but the bureau has no certain modelling that far ahead. The bureau’s report also found that the outlook was being influenced by “the long-term increasing trend in global air and ocean temperatures”. Originally published in The Guardian, 26 October 2018.